Like every pedagogical field, the fields of aesthetic, arts and cultural education (AACE) have been confronted with various transformational dynamics in recent decades. These transformations concern all aspects of AACE: the conditions of pedagogical work, the conditions of aesthetic and artistic topics and genres related to it, as well as the conditions of learners in the progressively globalized, internationalized and transculturalized world under the conditions of economization, governementalization, demographical shifts, migration, mediatization and digitalization. what strategies of inclusion and exclusion of cultural practices as research objects are applied explicitly or implicitly, the latter being of utmost importance for the current processes of internationalization of the research discourses on AACE. Well-established and traditional theoretical concepts, while remaining unchanged on their surface, experience huge shifts underneath their surfaces. The very concept of art for example experienced notable transformations with the shifts brought about by mass production (Duchamps), mass media (Warhol), economization (Koons), feminist (Abramovic) and political (Ai Wei Wei) discourses, and digital changes (“postinternet art”). Likewise, post-nationalism, postmigration and postcolonialism revealed a multitude of concurring concepts on education, and in that regard, the deep cultural-historical embeddedness of allegedly abstract and neutral conceptions of learning, education and, not least, the implications involved for identity and personality development. The concept of aesthetics has been even more pluralized, if not fragmentized between e.g. their ideology-critical deconstructions, the shifts toward media theory and more materialistic approaches (Barad), the deconstructions of the “western” model of subjectivity (Spivak) and the digital/algorithmic de- and rematerializations of aesthetic objects as well as processes of aesthetic experience (Parisi). As the transformational dynamics in the various fields are interconnected in multiple ways, complexity even increases. With regard to current and future research in the fields of AACE, it is crucial not only to gain systematic insights in the effects of those transformations on the fields of practice; beforehand, there has to exist an awareness of and sensitivity towards the dynamics, but even more so towards the resulting shifts of the core concepts on which research is based upon. In order to cultivate and prepare this sensitivity, the planned international winter school lays the grounds for a systematic consideration of the conceptual dynamics in the current and future research on AACE. We think that this is an instrument of utmost importance for young researchers, and thus a crucial instrument for the development of relevance and quality in the future research in these fields. In the context of our proposed winter school, we would like to discuss these transformational processes together with experts and young scholars on the basis of six main thematic areas and to determine their influence on the construction of the field of research in arts and cultural education. The winter school’s aims in regard to the young scholars involved are for them to gain a critical distance to their research object and to discuss methodological implications and innovations, but also to jointly develop theory. Young scholars from abroad may apply with their own projects, which will be presented and discussed within the duration of the winter school. Passive attendance (without a project presentation) is also possible. 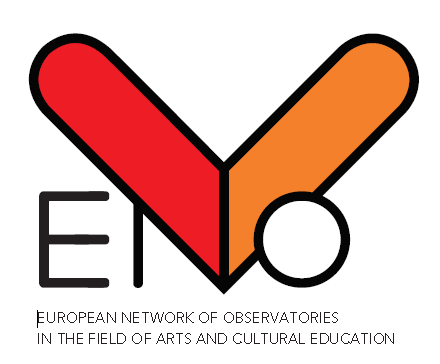 The Winter School will be organized by the Chair of Pedagogy with a focus on Culture and Aesthetic Education at the Friedrich-Alexander-University Erlangen-Nuremberg with the collaboration of the UNESCO Chair for Cultural Education, the European Network of Observatories in the Field of Arts and Cultural Education linked to UNESCO (ENO), the Academy for School Theatre and performative Education and the Netzwerk Forschung Kulturelle Bildung. Based on the assumption that culture and social reality are in no way governed by conscious planning or regulation, this presentation proceeds from the assumption that (modern) culture is constituted by unconscious schemata of perception, thought, and action as well as autopoietic processes and distributed action – automatisms. Analyses of contemporary, (post)modern societies make clear that post-disciplinary technologies of the self – of competitive singularities – cannot be extrapolated from the perspective of disciplinary technologies of control, but are based on forms of governmental (self-)guidance that shift feedback-driven circuits of control into the subject and are directed towards constantly actualized profiles. These are oriented toward affecting observers and toward connecting themselves through triggers again and again to new stimuli and experiences and to already existing or newly created emotions, which causes habitual patterns and structures to dissolve or change, respectively. The “transformation of orders of visibility” (Reckwitz) contrasts a disciplinarily schematized and standardized subject with a subject that links visibility and permanent observation to economies of attention. Paradoxically, the work on the singularity and its creative expression constitutes a social subject that iteratively gains self-assurance through schematized profiles, and performatively produces, adjusts, and socializes itself through circular processes. With respect to dynamics of transformation, various economies and technologies (of commodities, signs and symbols, and of the psychic apparatus) become intertwined in the realm of the social as well as within the subject itself – and this means: within educational processes. At the same time it becomes clear that the sovereign, autonomous subject in a sense ‘disintegrates’ itself through these transformations; it appears as the black box of circular proceedings that are governed by unregulated processes of distributed action and social exchange. Both a postmigrant as well as a postcolonial perspective pose diverse questions for the field and the object of AACE. On the one hand, differences and fault lines can be established along the two dimensions of 1) the comprehension and understanding of aesthetic practices and the arts and 2) the presupposed and implicit notions of the subject (from individualistic conceptualizations of higher education to socioculturally oriented community building as a fundamental concept of AACE) (cf. for instance Bresler 2007), which under the conditions of inter- and postnational perspectives seriously reframe the question of the topical construct as a question of the capacity for diversity and integration on a conceptual level. This is further expedited by the fact that the objectives of AACE are differently weighted internationally – ranging from an orientation toward heritage and identity to a concentration on the requirements of the creative industries (Liebau 2013). The question of (cultural) topical constructs involved here is of the utmost importance in the current situation, e.g. for the work with refugees. What is the significance of cultural education with regard to the challenges of postmigrant society? How are the objects of cultural education and its research generated against the backdrop of hybrid identities? What importance must be ascribed to the question of whether the subaltern can speak, and with what conceptual consequences? Demographic developments bring new generational target perspectives into focus. In Germany, for example, the traditionally rather youth-oriented AACE must in the future increasingly develop models for the cultural-geragogical field due to the changing age pyramid. In the fourth stage of life, different and to some extent new educational goals come to the fore, whose conceptual fundamental principles, from well-being to geriatric perspectives, increasingly become the focal point of AACE. Another question relevant in this context is the increasing problem of educational equality. The knowledge and education gap concerns AACE in unexpected and barely researched areas, for instance when despite an increase in media-based aesthetic and cultural participatory formats these options still hinge on milieu-specific, habitual styles and patterns of media use and prove to be markedly dependent on the participants’ background and degree of formal education. The perspective of AACE thus has generally shifted toward intersectional contact with fields such as media pedagogy and media education. Aesthetics, arts and cultural education (AACE) can be studied as a system and as an ensemble of practices involving various actors. Governance – public and private regulation (cf. Bevir 2013) – is one element of an AACE system, along with a structure of opportunities for aesthetic, arts and cultural learning, with funding mechanisms and with a set of beliefs (key concepts, definitions, approaches) regarding AACE (IJdens 2015). AACE practice refers to what is learned and taught by whom to whom, where, how and why. Public policy (deliberate intervention or non-intervention by government (Weible 2014)) regarding AACE can be studied from two sides: how public policy affects the system of AACE or AACE practices; or how changes in the system of AACE or its practices affect public policy. This presupposes that public policy and AACE (system and practice) are separate but interacting domains, just like (e.g.) public policy and health care or agriculture. Systemic changes and transformations in AACE practice may occur independent from public policy, or as a result of public policy or as part of broader social, cultural, political or institutional dynamics that affect both public policy and AACE. The workshop focuses on the interaction between public policy and AACE on the level of discourse (definitions, concepts, values, benefits, goals, ‘beliefs’) and from the angle of public management (governance, regulation, implementation, evaluation). The discursive level includes so-called ‘transfer’ issues (AACE’s alleged non-arts outcomes) as opposed to aesthetic, arts and cultural leaning ‘in itself’ (Schumacher 2006, 2009; Winner et al. 2013; Rittelmeyer 2013). Public management refers to the means by which public policies regarding AACE actually influence schools’, teachers’, cultural agents’ and learners’ attitudes and behaviour (cf. Osborn & McNess 2005; IJdens & Van Hoorn 2014; Abs et al. 2013). In the introduction to the workshop some data on expected benefits of AACE and on AACE research issues will be drawn from two surveys among arts education experts around the world as part of the international research project Monitoring National Arts Education Systems (MONAES). Digital technologies and digital media have steadily transformed aesthetic and artistic participation as well as processes, means, and contexts of expression in the past decades. This is true for all areas of action – from digitalized production and distribution to the digitalization of cultural objects and the emergence of massive public archives, from the ubiquitization of everyday aesthetic practices of articulation on the social web (e.g. SoundCloud, Instagram) to postdigital cultural practices and postinternet art, and from the paradigm shift away from the notion of the subject-centred artwork to distributive and algorithmicized forms of aesthetic and artistic production in remix cultures. Software, code, algorithms, and deep learning networks as independent actors have furthermore begun to develop alternative, autonomous quasi-perceptual structures (Parisi 2013). They have also emerged as the immediate actors of aesthetic productions, e.g. in the contexts of the algorithm-based reproduction of artistic styles or the implementation of new aesthetic principles (e.g. glitch aesthetic, granular sound synthesis). How can or should educational processes that are networked and distributed among hybrid actors and the concomitant aesthetic and artistic practices transform the traditional educational-theoretical and conceptual models in the field of AACE in order to be able to adequately account for these phenomena? Starting by Jeremy Bentham Panopticon and going through the age of images’ mechanical reproduction, we will focus how the gaze is a site of power/knowledge relations in the production of the modern and contemporary citizens in Western visual cultures. The travelling will cross times, disciplines, places, texts and images questioning how and what to see, how to be seen, what and how to represent, how to be represented, were constituted as discursive sites with practical implications in the ways we see, think and act as certain kinds of person. It will also focus on how these practices produce effects of inclusion and exclusion. What implications does the western centrality of the eye (and its blindness) have for arts education in the contemporary world? Research in general as well as in the field of AACE is not independent from social and cultural dynamics of transformation. Media, visual and technological transformations not only require that methods be adapted to them but also concern methods as scientific strategies for making visible and for translating objects into manageable (quantitative or qualitative) data. Any given method is determined by the theory that underpins it, and, vice versa, any given theory is constituted by the methodology in which it is grounded. However, the theories on which particular methods are based often do not become visible and have hardly ever been addressed in empirical research studies on cultural education until now. The master class will address that gap by examining more closely the interplay between theory and method: How do cultural transformations in the areas of digitalization, governance, policy, and demography not only generate new research objects but also necessitate developing new methods and methodologies for the research in AACE? It is precisely this development of methods that will be the focus of the master class. For this purpose methodological discourses within the field of science provide potentials that are strongly legitimized according to their own logic. What potentials do methodological trends and developments hold for the research in AACE? And how do they relate to methodological transformations of the field and its topical constructs? Prof. Dr. Hannelore Bublitz has been professor of general sociology, social sciences, and social philosophy at the University of Paderborn since 1995. She is the spokesperson of the Research Training Group “Automatisms” at the University of Paderborn. She studied sociology, philosophy and psychoanalysis at Heidelberg University and Goethe University Frankfurt from 1966 until 1972, received her Ph.D. from FU Berlin in 1979, and her habilitation from RWTH Aachen University in 1984. Her work focuses on dynamics of self-management and normalization in modern societies, the intersection of social technologies and economies in mass culture, and technologies of the body, gender, and the self. 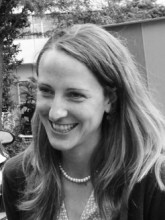 Dr. Juliane Engel has been assistant professor at the Chair of Pedagogy with a focus on Culture and Aesthetic Education at the FAU Erlangen-Nuremberg since the spring of 2016. She studied educational science and received her Ph.D. from FU Berlin in 2010. 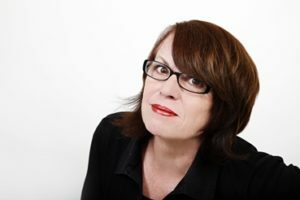 Her work focuses on visual anthropology, the qualitative-comparative study of the (in-)visibility of learning, the cultural-historical analysis of representational techniques in education, and responsive organisation and evaluation research. 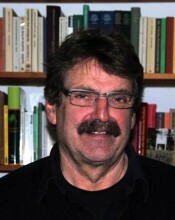 Dr. Teunis IJdens is a sociologist. His work has long been focused on cultural policy and the labor market for artists. 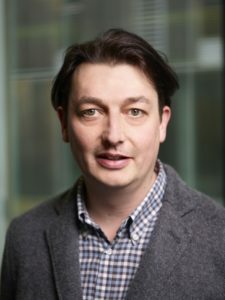 Since 2013, he has been working as a researcher, consultant, analyst, and publicist at the Dutch National Expertise Centre for Cultural Education and Amateur Arts (LKCA). He edits the biennial publication Zicht op actieve cultuurparticipatie (“View on Active Cultural Participation”). Teunis IJdens is supervising the realization of the international project Monitoring National Arts Education Systems (MONAES) in close cooperation with the UNESCO Chair of Cultural Education at the Friedrich-Alexander University Erlangen-Nuremberg. He is a founding member of the European Network of Observatories in the Field of Arts and Cultural Education (ENO), which is linked to UNESCO. Professor Dr. Benjamin Jörissen holds the Chair of Pedagogy with a focus on Culture and Aesthetic Education at the Friedrich-Alexander-University Erlangen-Nuremberg (FAU). 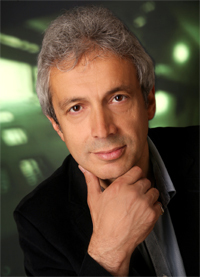 He is spokesman of the Interdisciplinary Centre for Aesthetic Education of the University Erlangen-Nuremberg, member of the International Network for Research in Arts Education (INRAE) and member of the European Network of Observatories in the Field of Arts and Cultural Education linked to UNESCO (ENO). Together with research institutions in seven countries worldwide, his chair is currently applying for a UNESCO UNITWIN network Arts Education Research for Cultural Diversity and Sustainable Development. 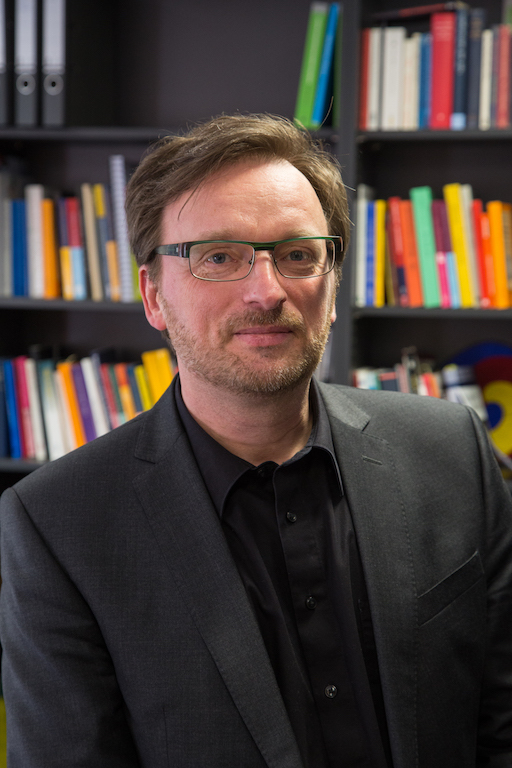 His recent research especially focuses on meta-research in the fields of arts education (Forschung zur Kulturellen und Ästhetischen Bildung in Deutschland seit 1990 – Bestand und Perspektiven, BMBF 2012-2014), on international perspectives of research in arts education, and on the educational meanings and impacts of postdigital culture and media and on the transformations of cultural and aesthetic education. Prof. Dr. Eckart Liebau has held the “UNESCO Chair of Cultural Education” at the FAU Erlangen-Nuremberg since 2010. He studied pedagogy, sociology, political science, and history at the universities of Göttingen and Munich and received his Ph.D. in pedagogy from the university of Göttingen in 1979 and his habilitation from the university of Hamburg in 1987. His research focuses on general pedagogy, school pedagogy, the sociology of culture and cultural education, and theater and museum education. Eckart Liebau is chairman of the Rat für Kulturelle Bildung and member of the steering committee of the International Network for Research in Arts Education (INRAE). Prof. Dr. Catarina Sofia Silva Martins, 1980. Degree in Fine Arts – Painting from the Faculty of Fine Arts, University of Porto (2003). Master in Arts Education at the Faculty of Fine Arts, University of Lisbon (2007). PhD in Education, Institute of Education, University of Lisbon. FCT Research Fellow (2007-2011). Since October 2012, she coordinates the field of Arts Education at i2ADS – Institute of Research in Art, Design and Society, Faculty of Fine Arts, University of Oporto. Member of the group in History of Education, Institute of Education, University of Lisbon and member of ID-CAI, Collective of Action and Research. From January 2013 to the present she is Auxiliary Professor at the Faculty of Fine Arts, University of Porto. Her research focuses on art education, the history of education, and visual culture. Prof. Dr. Erol Yildiz is professor of educational science with a focus on “Migration and Education” at the University of Innsbruck. He studied philosophy, educational science, and sociology at the University of Cologne, where he also received his Ph.D. and habilitation. He was a guest professor at the universities of Munich, Hamburg, Luxemburg, and Vienna. His work focuses on critical migration studies, questions of migration and urbanity, and postmigration. Young scholars (PhD students and postdocs) from across Europe are invited to participate. Participants are encouraged to present their own projects in a session of their choice in order to discuss the relevance of the session’s topics to their research questions and vice versa. The number of participants is limited to 24. If applications exceed that number, participants will be selected on the basis of their dossiers. In order to allow applicants regardless of their financial background to participate as far as possible, fees are scaled according to country of origin (i.e. the country an applicant’s home university is located in). The attendance fees cover participation in the winter school, meals (lunch, dinner, soft drinks) and the conference kit. *Reduced fee applicable to non-emplayed, part time employed students (below 65%) and scholarship holders. Lodging and breakfast are not included in the attendance fees. Lodging in multi-bed rooms at the DJH Youth Hostel Nuremberg: overnight stay/breakfast à €33,00 = €132,00 in total. To be booked when registering for the winter school via the application form. Application is possible until November 30 2016! Lodging at the Best Western Hotel Nuremberg City West: overnight stay/breakfast à €94,00 per single room. A limited number of rooms have been pre-reserved, which can be booked at the hotel. Please state the room allotment code – “Winterschool“ – when booking. Applications must be made online below. Application documents must include a project synopsis of 1 to 5 pages, depending on the project’s stage of development. Preferences for specific sessions may be stated on your application and will be taken into account, if possible. However, participation in a specific session cannot be guaranteed. The application deadline is December 12 2016! Confirmations of admission will be sent in early December, which will also include all relevant information regarding payment terms, etc.